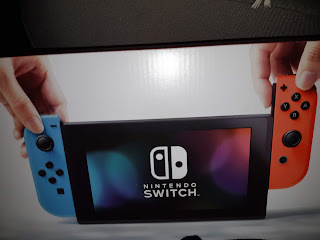 Last Christmas, I bought a Nintendo Switch out of impulse. I say it's out of impulse because I wanted to purchase a present for myself. I wanted to plan it out and wait for a sale after several months. I then remembered that Nintendo products usually never go on sale for one reason or another. I did have the option of buying it last year when I went to the Philippines but this was before any game that I wanted to play was actually released for the system. I bought it at Toys R' Us because I didn't want to wait in a lineup. Toys R' Us locations here in Surrey at least are barren enough to be convenient. I nearly settled for the gray controllers but the sales associate got lucky and found one with the blue and red controllers so I was a happy big boy. Big boy, not soy boy. I didn't take a photo of me with my Nintendo Switch while I opened my mouth like a lunatic. The state of your social media, mate. The thing about buying a new console for me is that it's a long term investment. I remember being optimistic about the previous Nintendo console that I purchased - the Wii U. A game console is only a powerful DVD player if it doesn't have the library of games that make it better. 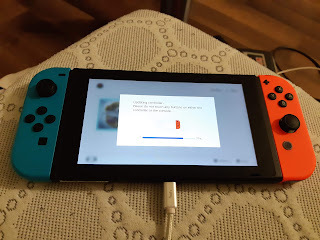 That metaphor instantly goes down to the drain pipe with the Switch since there's no disc drive to begin with so I don't even have that benefit. The first game I bought was Fire Emblem Warriors because of course I have to get a Dynasty Warriors-like game for my new console. I did the same with Hyrule Warriors for the Wii U. My knowledge of Fire Emblem lore is very, very limited since I'm not a diehard fan. I've only played Sacred Stones for the Gameboy Advance. The next game I immediately bought without a thought is Pokémon Let's Go Eevee. Seriously, if I bought the Switch last year, I would have given up on it 4 months in because of the lack of a Pokémon game. So far, playing it intermittently, it's still a fun game and it's a child's remake of Pokémon Yellow. I just don't like how battling wild Pokémon has been replaced with the Pokémon Go version of encounters where you have to throw the ball to catch the wild animal instead of murdering it with your Charizard's flamethrower. Aside from that, it's been a fun game to play. 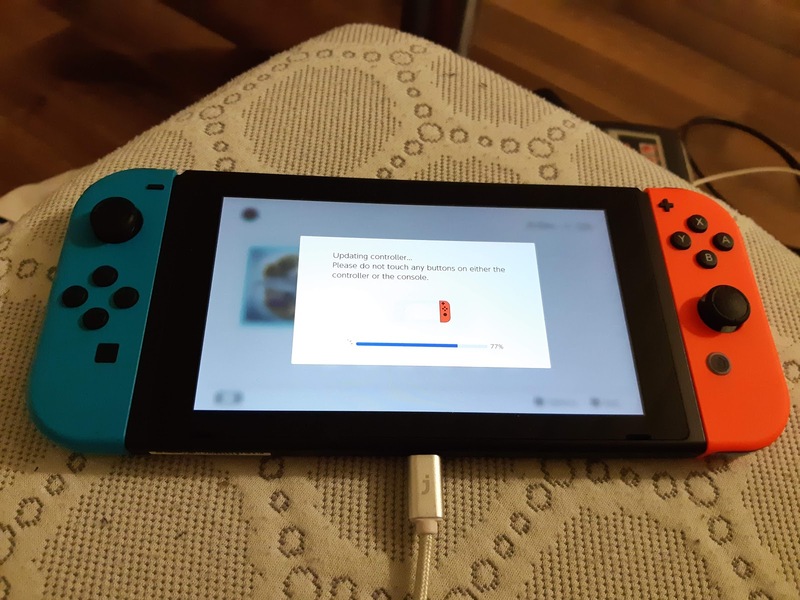 A thing that I love about the Switch is the use of cheap microSD cards rather than some proprietary memory cards that are hard to find on Amazon like what the PS Vita had. I'm surprised it can use a 128gb card because I never really used one with that amount of storage. I then realized that to fill that up, I'd have to buy more games. My wallet says help. Overall, I do see the Switch as a good successor to the Wii U because it has the tablet feature right. It's both portable and a easy to plug in to a TV using the included dock. It's better than a PlayStation Vita because there are actually more good games here. It's better than the Wii U because, unlike my best friends, it's not a disappointment. It's definitely worth it but I do wish I waited for a sale. Ah well, it's worth it. There's a song I've been listening to a lot lately. It's called "Under The Tide" by CHVRCHES and it resonates with me on how it can be about my mental health and insecurities. I know the background of a song is about a friend of the band who was terminally ill and sadly passed away. The thing about music is that it can have different meanings to the listeners too. And it won't be long now"
The first thing I'd think about with the first line is jogging and walking around the city because that's how I exercise nowadays. To get less literal with it, it's like my mind watching me do the things that I'm doing to be a better person. It won't be long now if I keep it up where I'd eventually find happiness. It's like my mind is telling me exactly that - "keep holding your head up, junior." It's me trying to convince myself to be optimistic, even if sometimes I don't follow my own advice. And what do you have left?" I can see that I have a chance at happiness. Asking a girl out who's way out of my league? Yeah, that emotional scar caused by Krisly totally scares me sometimes. If I "don't care" about the women I like, then why am I still here? Just to be miserable? What would I have left? Just a whole messenger bag full of regrets and What-Ifs. But you will never see"
I've had breakdowns, I sadly admit. I've had internal ones where I'm on the edge of tearing up if someone asked me how I was doing. I try to keep my mind off of it by working more. Because it's fun seeing a girl you liked for so long... holding another man's hand. Then you think that's fine because he was there first and it humanizes you; it makes you realize that there are other people in the world with their own soulmates, if you believe in that kind of thing, and she probably found hers. You realize it'll never happen to you because... no one looks at you. No one is obligated to like you back so you just stay under the tide and try to drift away. And you just keep waiting. Maybe someone else would come along and you can ruin that friendship too. "Tell me are you happy? This is my mind asking me that same question which I really can't answer honestly sometimes. Sometimes I pretend to be happy but that's just someone trying not to fall asleep in the wheel. Sometimes I'm genuinely happy but I'm a master of self-sabotage so it never makes sense. I always think about how there is a chance at happiness where I'll end up. It's not like I can see the future or anything. If anyone could legitimately see a concrete future, they'll either be very happy to do so or just very miserable with that responsibility. Yet I wouldn't mind seeing where I end up. That you will leave behind"
I know I've ended friendships with people who were of no benefit to me because of their dry replies and I don't regret that. However, I do regret not catching up with people who have been nothing but nice to me and I do want to reconnect with them. I've had less than stellar friendships turn into way better ones the second time around and I'll always appreciate that. Sure, sometimes they end abruptly because those people decide to nudge you out of their lives but at least the journey that led to the rejection was fun for the time. Yet those friendships are all I'll have anyway. Well, that was a fun ego trip and making a song about me. What's next?